Two storey side extension to form self contained annexe including conservatory, ancillary to main dwelling: Wheelstones, Upper Bell Croft, Southowram. Single storey garden room (Revised Scheme to 17/00428): 1 Marling Road, Ainley Top. Single storey side extension: 1 Annes Court, Southowram. First floor extension to side: 38 Green Lane, Halifax. Fell one tree (Tree Preservation Order): Land Off Clover Hill Road, Halifax. Subdivision of dwelling to form two dwellings (Lawful development certificate): 2 Wellington Place, Halifax. Fell two trees (Tree Preservation Order): Longroyde Surgery, 38 Castle Avenue, Brighouse. Demolition of conservatory to facilitate single storey rear extension: The Barn Collon Bob High Stones Road, Cragg Vale. Two storey and single storey side extension and porch to front: 1 Adgil Crescent, Southowram. Prune trees (Tree Preservation Order): Edgeley, Huddersfield Road, Brighouse. Conservatory to rear: Boothroyd Farmhouse, Boothroyd Lane, Rastrick. Change of use of garden outbuilding to be used for alternative therapies and aesthetics business (Sui Generis): 80 School Lane, Illingworth. Orangery to rear: 7 Ridge Road, Todmorden. Detached dwelling: The Manse, 1 Whitegate Road, Siddal. Second floor side extension: 37 Old Cottage Close, Hipperholme. Two storey side extension: 29 High Lane, Halifax. Change of use of barn to facilitate animal welfare centre (sui generis): Bungalow Farm, Eastwood Road, Todmorden. 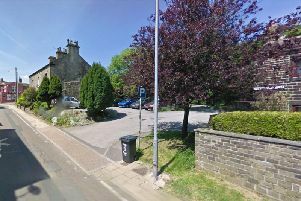 Care of up to three children in an existing dwellinghouse (Lawful development certificate): Brook View, 99 Cragg Road, Mytholmroyd. Conversion of first and second floors to six apartments: 12 Bradford Road, Brighouse. Internal alterations and single storey front extension: 7 Heath Gardens, Halifax. Single storey extension to side/rear, first floor extension to side, alteration of window to patio doors at front, relocation of bedroom window to side and internal alterations (Listed Building Consent): Croft Cottage ,10 Old Bank Ripponden. Replacement of plywood entrance doors with new glass and stainless steel entrance door: Fearnley Mill, Dean Clough Mills, Old Lane, Halifax. Single storey extension to side and detached carport (Revised Scheme to 17/00596): Hollingrove, East Stansfield Hall Road, Todmorden. Removal of 20th Century bay window and provision of new doors to retail units (Listed Building Consent): Office Suite D07 D Mill Dean Clough Halifax. Single story side and rear extension (Revised scheme to 17/01173): 2 Coley View, Northowram. Two storey extension: 147 Ovenden Road, Halifax. Replacement of the existing external goods lift with a passenger lift: The Hatcheries Hall Bank Lane, Mytholmroyd. Timber Store: Salford Works Salford Industrial Estate, Salford, Todmorden.